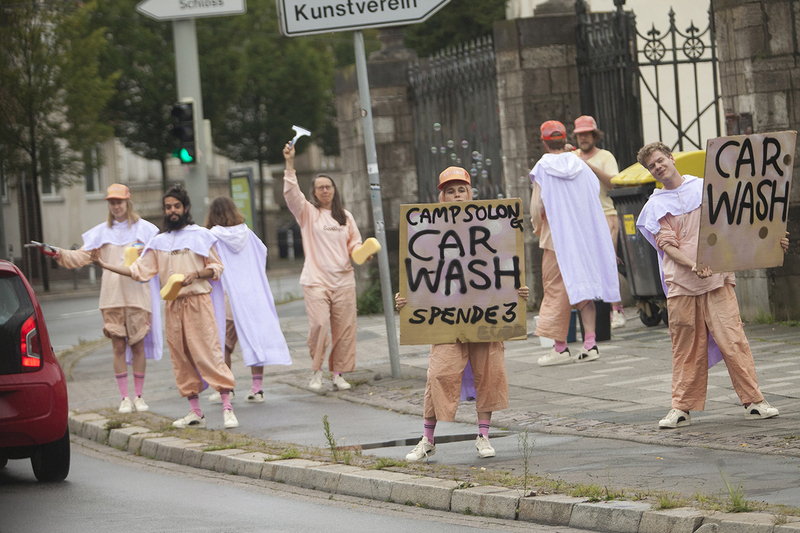 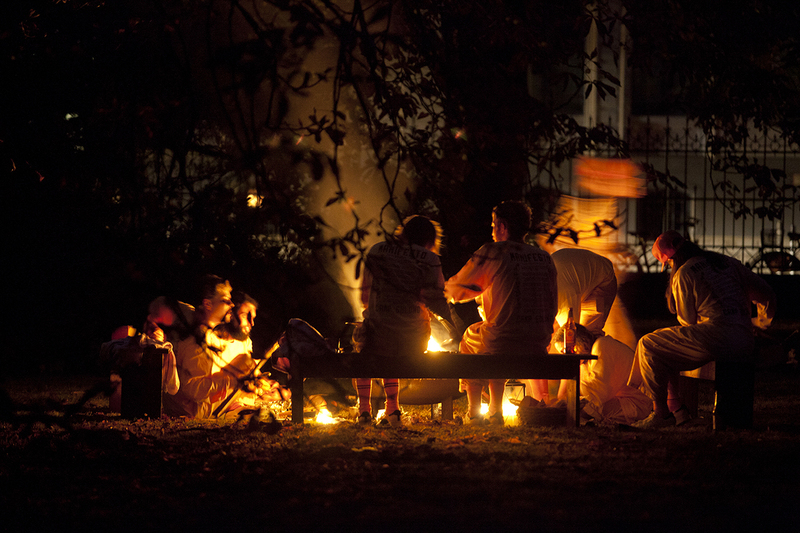 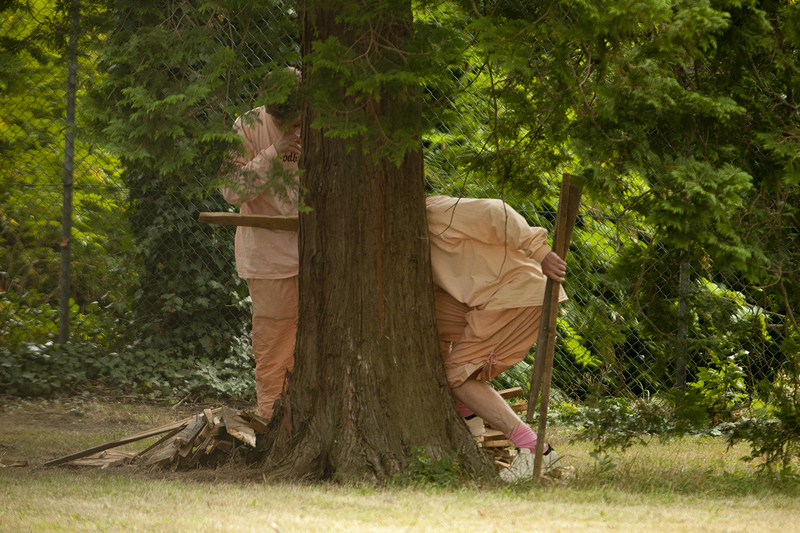 In 2016, the first iteration of Camp Solong took place in the garden of Kunstverein Braunschweig as part of the exhibition Process, Presence, Performance. 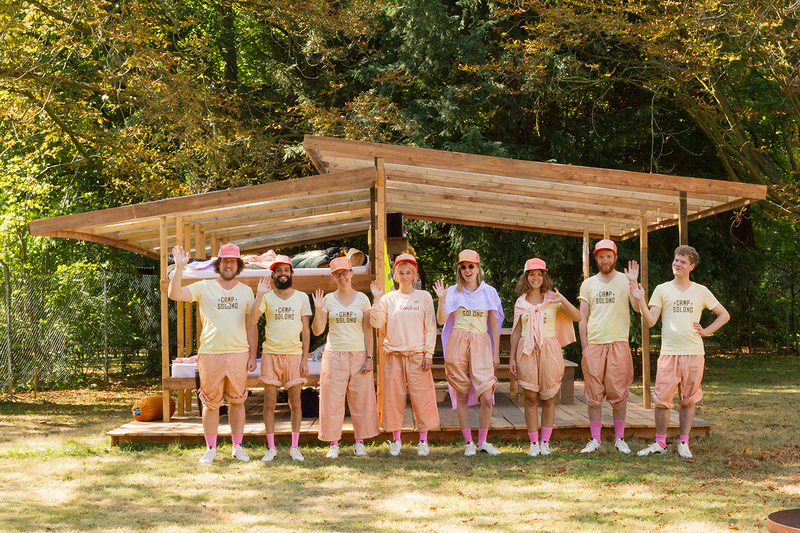 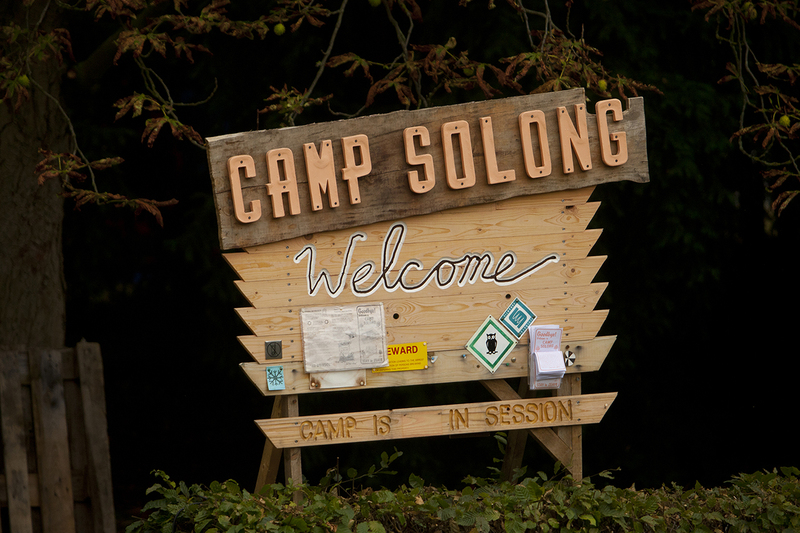 The one wall cabin was built up over the course of the summer culminating in the 3-day camp session with an around-the-clock-program led by the camp’s founders and two counselors Fluffy & Baloo (Dafna Maimon & Ethan Hayes-Chute). 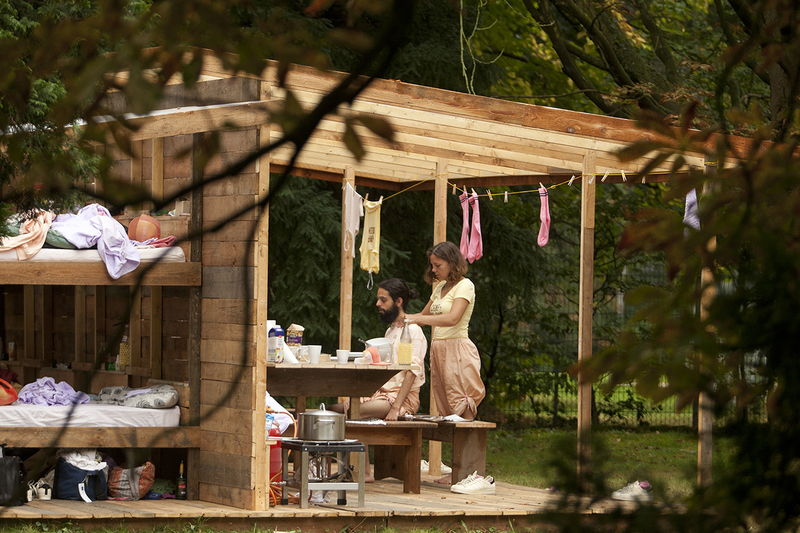 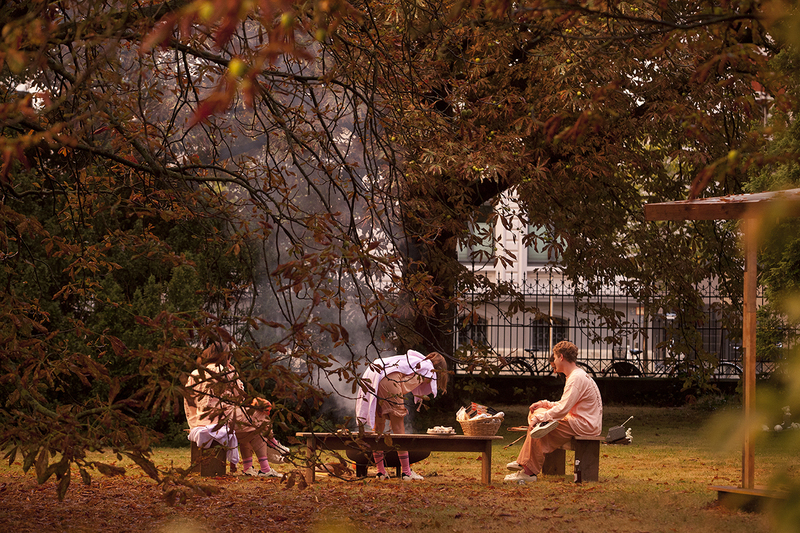 The camp life could be seen through the windows of the institution, up close in the garden, as well as from the street throughout it’s duration. 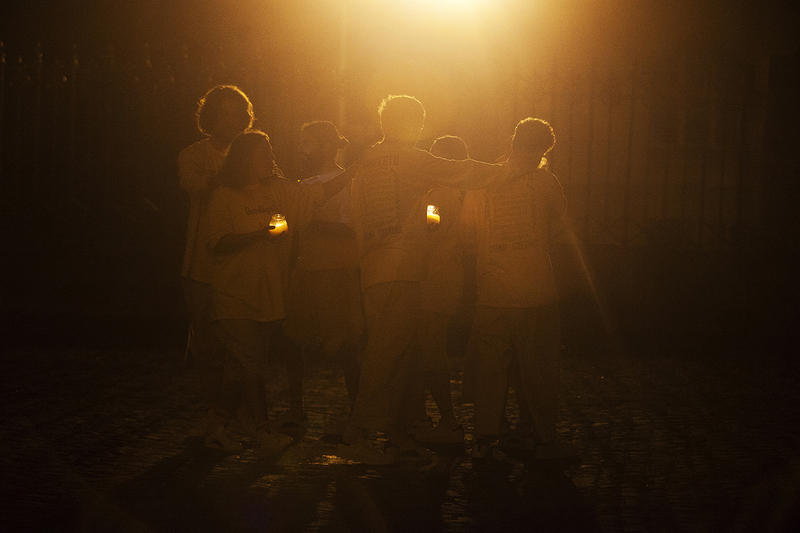 The camp’s placement and visibility to the street highlighted the role-play required from it’s participants and counsellors, as well as providing a reminder for the need of stillness and play in daily life to the passersby of the street. 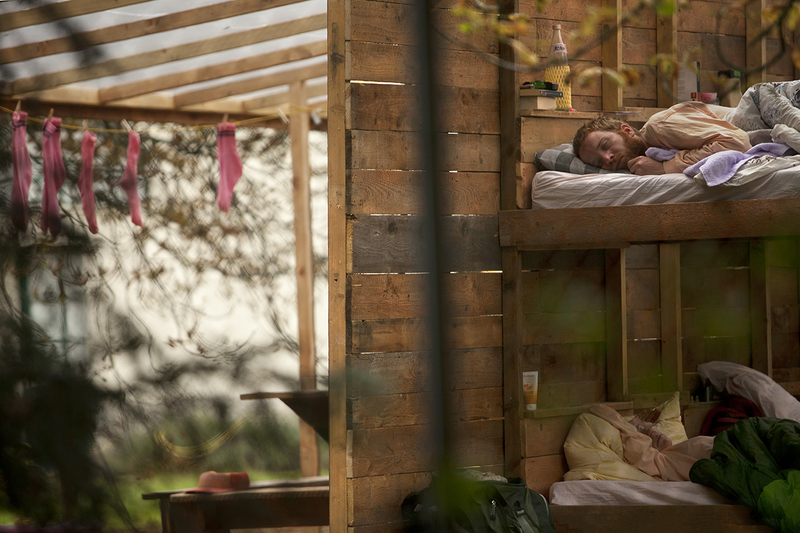 Alongside the camp an adjoining installation was placed inside the Verein that functioned as bait for audiences to apply as campers; a rotating scale model of the one-wall Camp Solong cabin adorned with a a recorded voice advertised the emotionally formative 3-day camp, and the positive effects of practicing goodbye.